New signing Philippe Coutinho was on hand at Barça’s first training session of the week on Tuesday morning, when he had the chance to meet his new teammates before beginning with his recovery from a thigh injury that will keep him from making his Barça debut for around 20 days. The team’s focus during the workout was on Thursday night’s Copa del Rey game against Celta, which is set for 9.30pm CET at Camp Nou and will determine which team goes through to the quarterfinals. Barça and Celta drew 1-1 in Vigo last Thursday night. 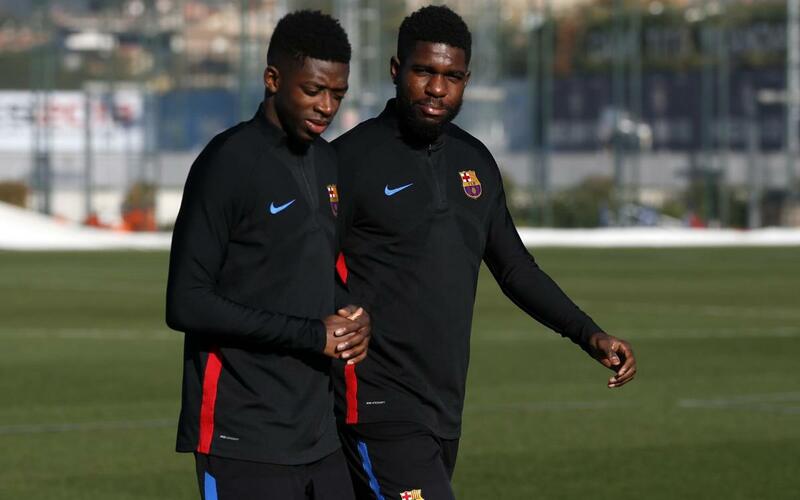 Besides Coutinho’s presence at Barça’s training center, the other big news of the day was the return of Samuel Umtiti, who trained with the group for part of the workout. Umtiti is still in the recovery phase following a hamstring injury he suffered in the second half of Barça’s Week 14 La Liga draw against Celta at Camp Nou. Also on Tuesday, Argentina head coach JorgeSampaoli, who was at Camp Nou for Barça’s 3–0 win over Levante on Sunday, visited Barça’s training center and took some time to chat with head coach Ernesto Valverde.